Beauty Bargain Alert! Cult Beauty Product Dupe. This post starts with a tragedy and ends with a win, so keep reading through the tears: I promise that it’s worth it! One of the casualties of our move last year was my beloved face roller from Cult Beauty. This was pricey at £43 - about €54 – and was a present from Himself which I’m sure I had heavily hinted at. 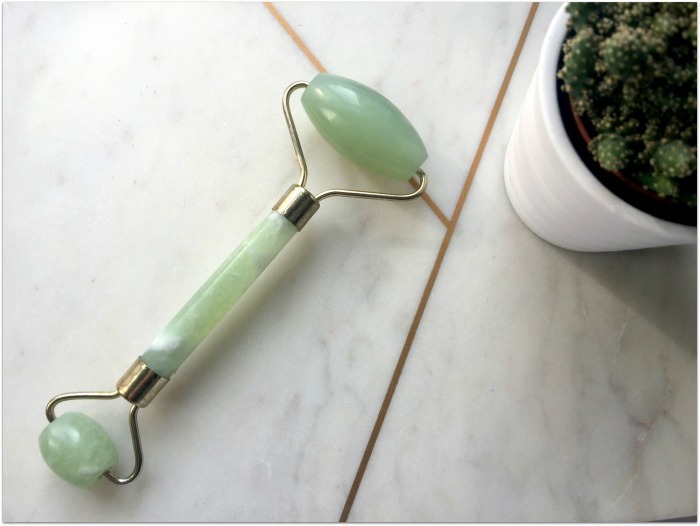 Facial massage is great for keeping your skin looking younger and fresher for longer, and this little tool made it easy: hand-carved from pure jade or rose quartz, the larger end is for using on the face and neck, while the smaller side is for use around the eyes and upper lip. I really loved my little roller: it was lovely and cooling on the skin, felt super satisfying on my facial muscles and worked wonders on depuffing round the eye area, too. Plus, it was pretty, and it made me feel fancy – two powerful factors when it comes to determining if I’m actually gonna use something or not. I didn’t replace it straight away because, with the new house, I needed to buy all the cushions and plant pots on the planet – but sometimes, late at night, I would think about my poor unmassaged facial muscles, getting all saggy and loose. I’m an awful eejit, I know. But this is where things take a turn for the better. And it’s all down to Lorraine from John It’s Only Makeup, who discovered this seller on eBay. Made from pure, natural jade, this product is almost indistinguishable from the Cult Beauty one – except this doesn’t come in rose quartz – and it’s just £2.97. Yes, you read that right: two pounds ninety seven! There’s free postage and packaging too; mine took a couple of weeks to get here but I’m back rolling away and feeling fancy again.